at the Swiss International Motor Show of Geneva. 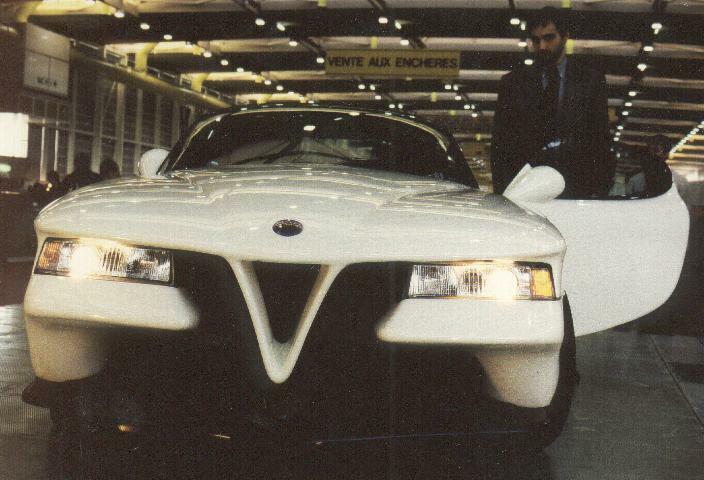 Gioacchino Acampora (standing next to the car) designed this agressive-looking monster, based ona Alfa-Romeo S.Z. 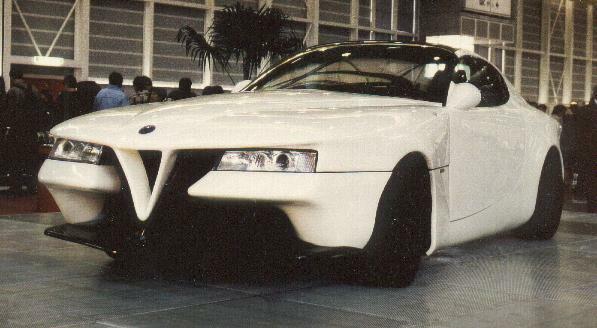 Uberto Pietra financed this car, his daughter gave it her name, "Vittoria".